Pocket Greenhaven Community Association – Protecting, promoting and informing an exceptional neighborhood. Devin: Hey Jay, glad we were finally able to sit down and chat. 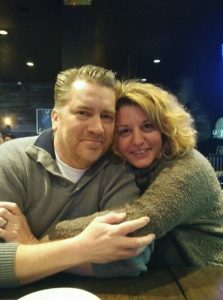 My wife and I have enjoyed many a burger and football game here over the last couple years. The bourbon glazed burger is my personal favorite and the fries that come with it are a uniquely tasty treat. And, of course, it all tastes better served alongside a local craft beer, speaking of which, that New Helvetia Citra or Bust is calling my name. What is your favorite thing on the menu? Jay: The bourbon burger is my favorite too. It’s been our flagship since the day we opened. I had a personal hand with the recipe. Devin: I guess that explains why you like it so much. And great job! What makes this place special in your mind? 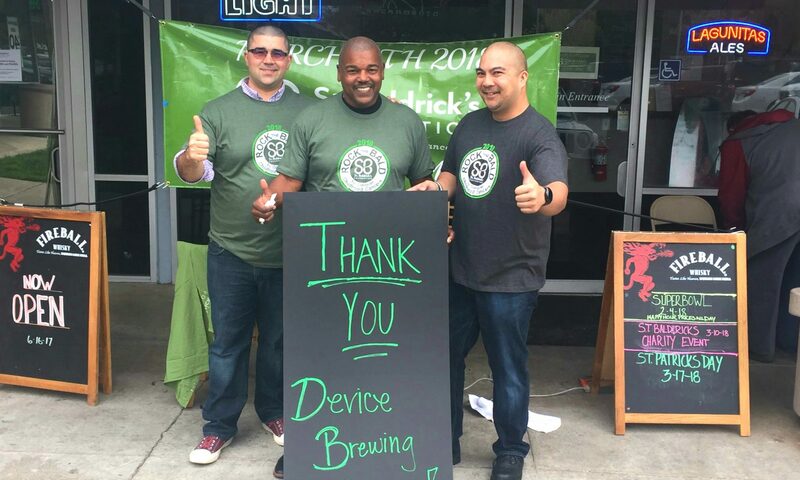 And click here to learn more about the upcoming St. Baldrick’s Fundraiser! Devin and Will would love to have you join them on Team Pocket Pride! 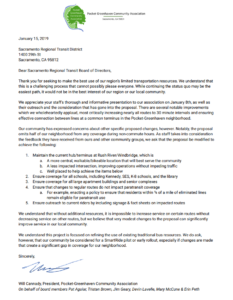 The Pocket-Greenhaven Community Association has called on the RT Board of Directors to ensure staff revises the proposed changes to coverage in the Pocket-Greenhaven community, ensuring wider coverage throughout the neighborhood. We understand the need to streamline lightly used routes and appreciate the effort to increase connection through a common hub for ongoing routes. We are concerned, however, that the proposed location of that hub (at the intersection of Florin and Greenhaven, near Lake Crest Village) unnecessarily limits coverage throughout the community and creates a safety hazard at an already over burdened intersection. The existing partial-hub at Promenade Shopping Center ensures wider coverage, providing service at a much safer, more pedestrian friendly location. We appreciate RT staff’s outreach, providing an information and feedback session at our January membership meeting and are optimistic staff will use the community feedback provided to produce a revised plan that more efficiently provides improved service for our community and the entire region. We are grateful for the dozens of community members who provided feedback and for Supervisor Kennedy and Councilmember Jennings’ ongoing leadership on these important issues. Devin: Thank you for taking the time to tell us about iYa Taekwando. Can you tell us a little about the school? 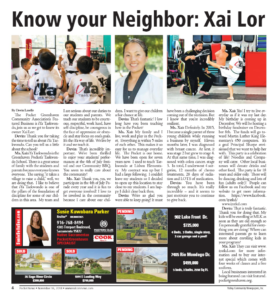 Xai: iYa Taekwondo is the Greenhaven Pocket’s Taekwondo School. There is a great sense of family with the students and parents because everyone knows everyone. The saying, “it takes a village to raise a child,” well, we are doing that. 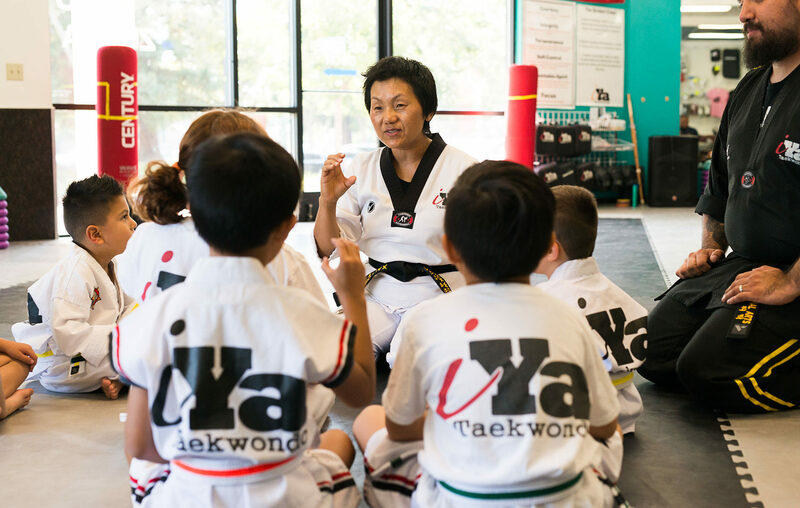 I like to believe that iYa Taekwondo is one of the pillars of the foundation of discipline for some of our children in this area. My team and I are serious about our duties to our students and parents. We teach our students to be courteous, respectful, work harding, have self-discipline, be courageous in the face of oppression or obstacle and stay focus on one’s goals. It’s the iYa way of life. We live by it and we teach it. And stay tuned for more information on Xai’s upcoming birthday fundraiser! Special Community Meeting Re: Local Package Theft and Cluster Mailbox Break-Ins. Will provided background information on the issues and efforts made thus far to address the thefts. Everyone went around the room to introduce themselves and explain their interest in the theft and cluster mailbox issues. A representative from Congresswoman Matsui’s office attended and committed to looking into the issue, including coordinating with the USPS etc. Pocket Awards – Planning on doing the event again next Spring. Devin will begin soliciting donations soon. May not charge an entry fee this year. Business Roundtable – Have set up a series of business roundtables. Devin is doing profiles in the Pocket News for local brick and mortar businesses. Follow Up Special Meeting re: packet and cluster mailbox theft – Judy Foote brought up working with other neighborhoods like Natomas and Laguna/Elk Grove and maybe contacting the other neighborhood associations. She also had the idea of using on-line form letters, petitions etc. Working to increase the number of members – getting out the word at the grocery stores, canvassing neighborhoods, talking to your neighbors. We are planning to put something in the Pocket News in early 2019. 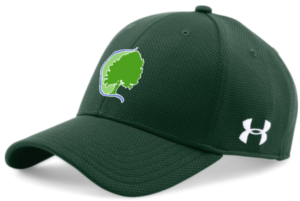 Pocket Little League and Greenhaven Soccer Club opening day ceremonies would be a good opportunity to reach out to local families. The Board needs to determine how to remind people that they need to renew their memberships. Greenhaven Soccer Club is putting together their fundraiser in December. Devin gave an overview of the event and ask those in attendance to contribute to a donation to assist with the event. Devin: We’re excited to have your great new Italian eatery here in the Pocket! But we shouldn’t say, welcome, right? As I understand it, you already called the Pocket your home. Katie: Yes! We live here in the Pocket. It’s a short five minute commute to the restaurant. Jonathan has been cooking in Sacramento for 30 years, with commutes ranging from downtown to El Dorado Hills. I have been managing restaurants in the Sacramento Area as well as opened several restaurants and hotels around the country with Commune Hospitality. But we wanted to work close to home in the community that we love. We wanted to bring a fun, affordable spin to the Pocket Area. 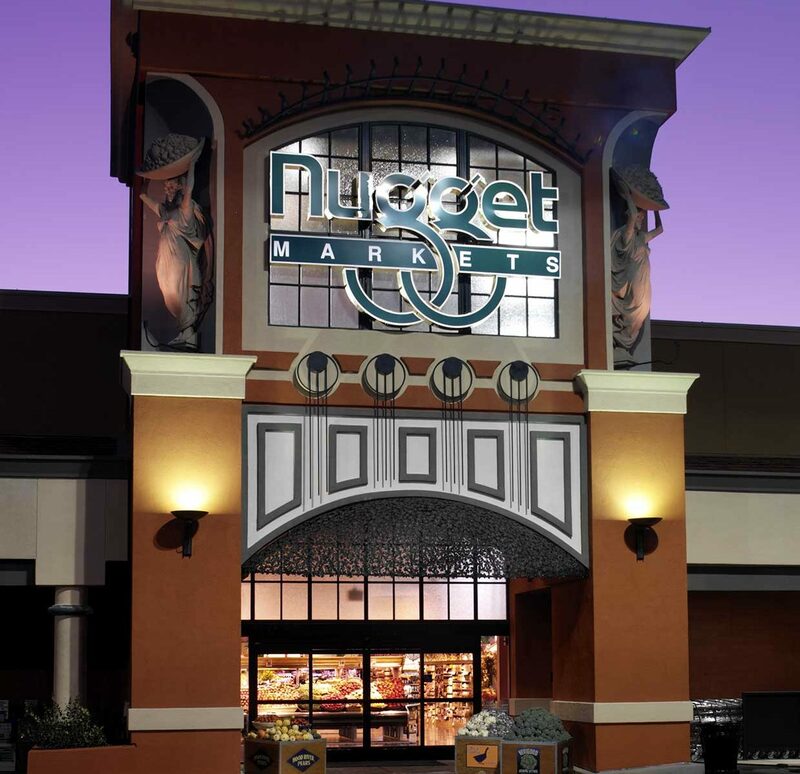 The Pocket Greenhaven Community Association’s featured business is Nugget Market. Join us as we get to know Store Director Erick St. John. Devin: Thanks for taking the time, Erick. What makes Nugget special? Erick: Nugget Market is a very unique and special place to shop. Not only do we provide your everyday needs, but we also provide specialty items as well, all while making you feel right at home. Our company was founded in 1926 by Mack and Gene Stille who had a dream to create a shopping experience like none other; creating a family vibe and always living by the motto of have fun! To this day this is still a family run business who prides itself in continuing to live out the very qualities once instilled upon its foundation. 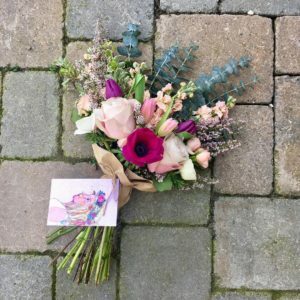 The Pocket Greenhaven Community Association’s Featured Business is Bloom, join us as we get to know its owner, florist, suburban flower farmer and a neighbor here in the Pocket, Amanda Kitaura! 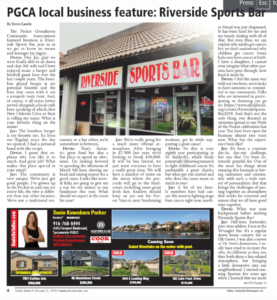 Devin Lavelle: We’ve enjoyed the flowers you provided to decorate the Pride of the Pocket Awards this spring, but can you tell us a little more about your business? 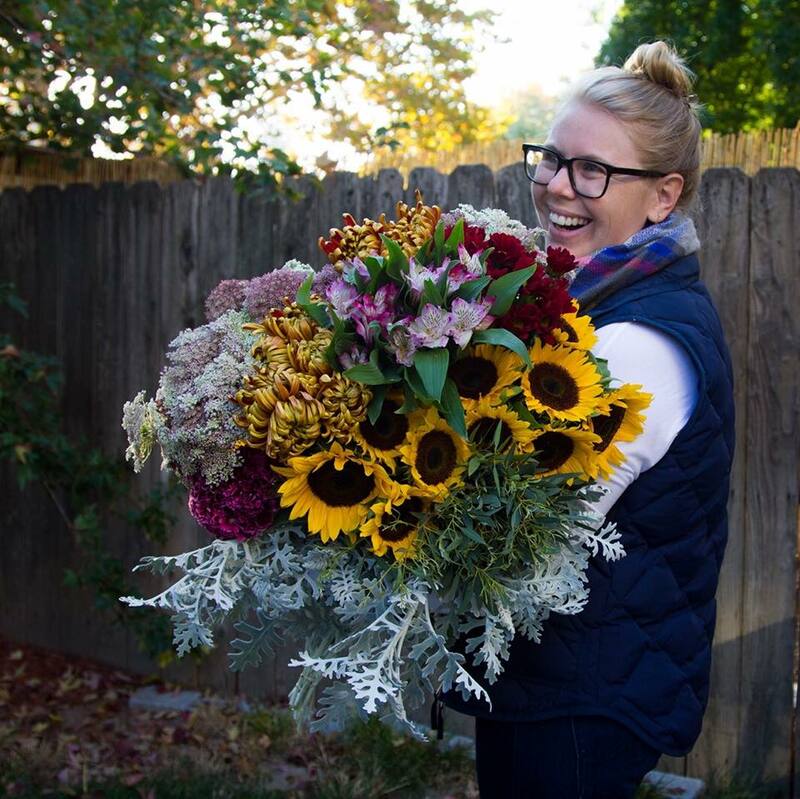 Amanda Kitaura: Bloom is a small, family-owned floral delivery subscription service in Sacramento. We deliver fresh, local bouquets right to you each week or month. Our blooms are perfect, everyday bouquets ready to bring some joy to your home or office! All of our blooms come from right here in Northern California — either from our own small farm or from local flower farmers. Unlike companies that import flowers from other countries or far-flung parts of the country, our blooms are sourced right here in Northern California. You’ll be supporting farmers less than a day’s drive away from Sacramento and getting the freshest flowers possible at the same time. I offer one-time deliveries, flower subscriptions, and flowers for weddings and other events. 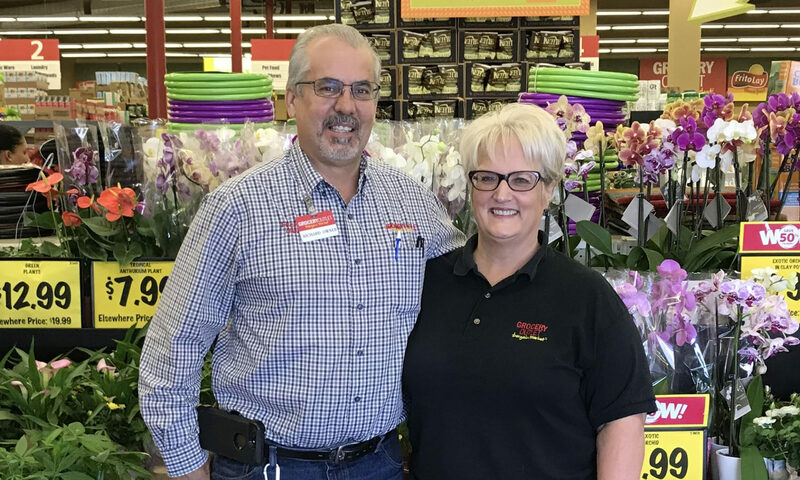 The Pocket Greenhaven Community Association’s Featured Business is Grocery Outlet, join us as we get to know its owners and management team, Richard & Christie Wierzbick! Devin: Thanks for taking the time Richard & Christie, I love dropping in. You just never know what fun treats you’ll find, it’s so much fun! Can you tell me a little more about your store? Richard: We are the proud owners of the Pocket Grocery Outlet, recently celebrating 5 years serving the Pocket/Greenhaven neighborhood and surrounding community. We are in a partnership with Grocery Outlet and bring quality name brand products for sale with savings from 40-60% less than conventional stores. 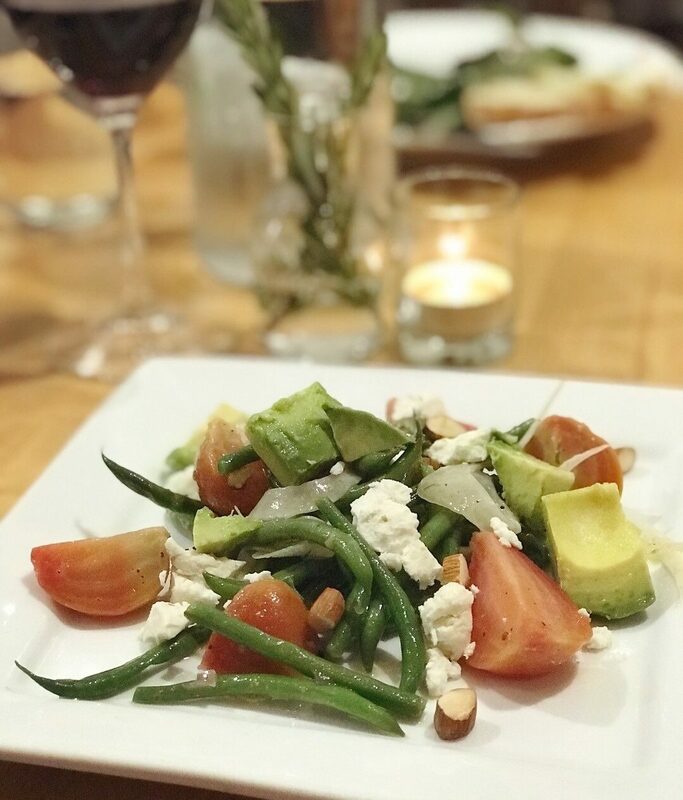 We offer a large selection of our NOSH items (Natural, Organic, Specialty & Healthy) as well as health and beauty, general merchandise, fresh produce, dairy, fresh meat and fish, beer, wine & spirits. 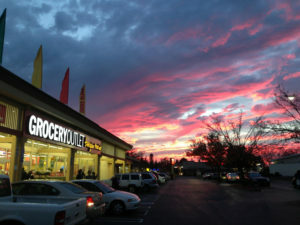 Grocery Outlet is the largest opportunistic food purchaser in the United States. The Pocket Greenhaven Community Association strongly urges voters in our community to vote Yes on Measure U. Measure U provides essential funding to support public safety, parks, libraries and youth & senior services that help make our community such a special place to live, work and play. Expanding Measure U will allow the city to further improve those services and increase investment in our local neighborhoods. While we appreciate the level of public safety achieved over the last several years, there is a clear consensus in our community that continuing to improve safety remains a top priority and that investing in the community resources that strengthen neighborly bonds and provide positive experiences for youth are a key strategy. We do not take the costs lightly and commit to continue our efforts as a Community Association to ensure these funds are spent wisely, efficiently and with a focus on our neighborhoods and residents. In accordance with the PGCA by-laws, this position was taken after a unanimous vote of the Board of Directors following a discussion with and input from members and other residents. 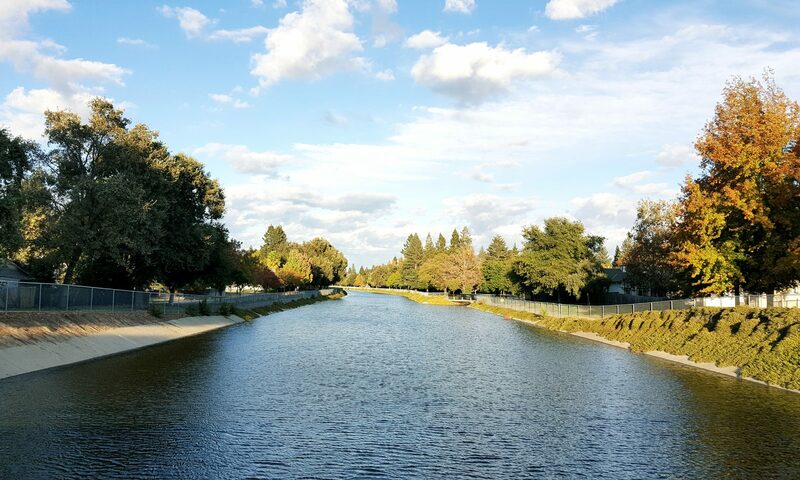 With 11 statewide initiatives along with Measure U renewal on the ballot, voters in the Pocket-Greenhaven community will have a lot of decisions to make this fall. To help inform these decisions, The Pocket-Greenhaven Community Assocation is bringing together a group of experts to provide a non-partisan overview of the measures, including key background on who is supporting and opposing them, who is funding them and, most importantly, what they will really do. 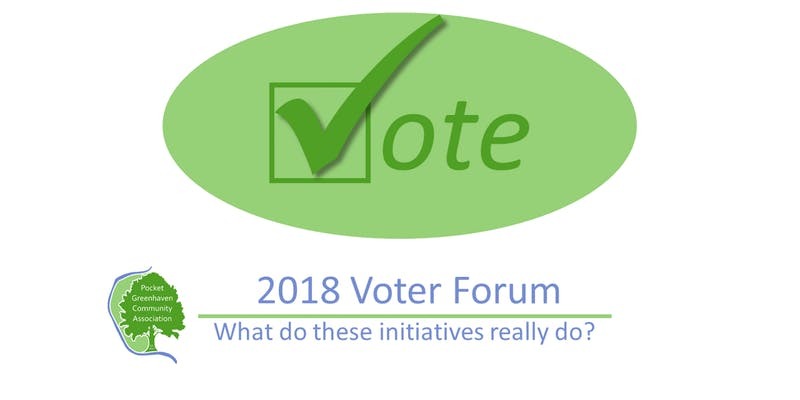 Dr. Kim Nalder, Director of the Sacramento State Project for an Informed Electorate will lead an informational discussion on the initiatives, providing a non-partisan summary of each. Councilman Rick Jennings & Trustee Darrel Woo will provide their insight.